Vincent Lemain has been Ladurée’s Chef of Pastry Creation since April 2011. Twice a year, he imagines new flavors and colors for the religieuses, the Saint-Honorés, and the macarons and brings them to life them for all the customers of Ladurée the world over. 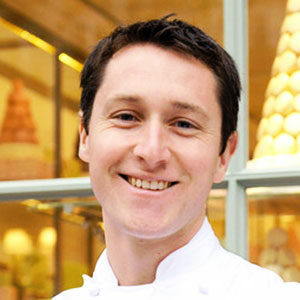 Julien Christophe has worked at Ladurée for 11 years and has been in charge of its chocolate laboratory since October 2007. Leading a team of 10, he creates chocolates inspired by the seasons, including special concoctions for every holiday from Valentine’s Day to Easter. Noëlle Hoeppe is a photographer with a diploma from the Ecole des Arts Appliqués Duperré and New York University. She lives in France and has exhibited in Paris, New York, London, and Tokyo.